In 2017, the popular island of Langkawi is going to get closer to the mainland - so it’s more accessible to every holidaymaker. Interestingly, there are several ways for the tourists to come to Langkawi, and a ferry ride would be the best possible option to reach the island. Greater than that, you can take ferry to Langkawi to other parts of Malaysia and other neighbouring countries. A ferry boat docked at Langkawi’s terminal. Among a variety of modes of transport available nowadays, visiting Langkawi has never been actually easier. Luckily, Malaysia’s initial ferry service at high speed begins operating from Kuala Kedah terminal to Langkawi on July next year soon. All ferries connect Langkawi to its neighbouring island of Penang - one of Malaysia’s most populous island cities. Therefore, taking the ferry to Langkawi is now easier than before, especially when there are various ferry routes and services offering the island’s waterways. Each ferry’s capacity can reach 450 passengers with its 50 business seating positions in the upper deck. So if you’re willing to put up with the huge crowds during the trip, then make sure not to miss the ferry to Langkawi from Kuala Kedah, Penang, Kuala Perlis around the clock. Currently, there is one ferry agency running this service - Langkawi Ferry Services. They usually cross here over 14 times per week at each sailing duration at 2 hours and 45 minutes. Butthe sailing time and frequency might vary from season to season, so it’s highly recommended to check for your most up-to-date information. 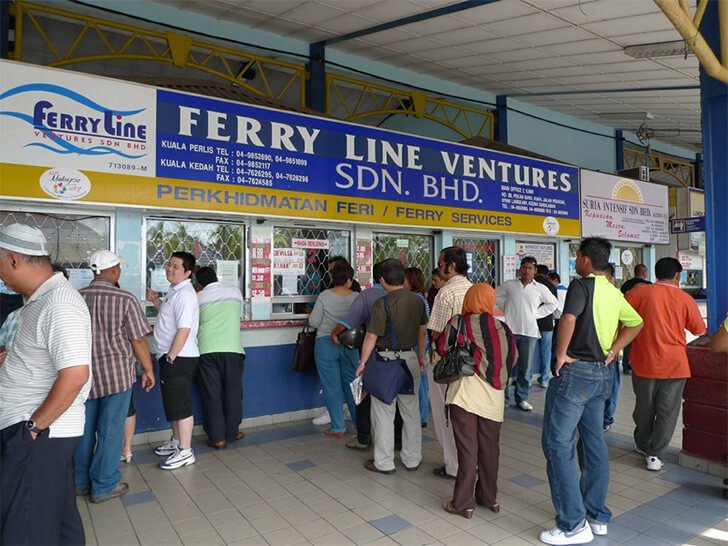 One of the most popular high-speed ferry agencies here is Langkawi Ferry Services. The LFS provides its passengers with 12 ferries in the daily operation, so if you desire to take the ferry to Langkawi, LFS will be the most suitable choice to make! Its ferries go between Langkawi, Kuala Perlis, Penang, Satun (Thailand), and Puala Payar Marine Park. Also, you’re able to find the service between Medan (Indonesia) and Penang island (Malaysia). * Note: Both rate & time schedule might be changed without prior notice. The ferries will run from Kuah Jetty, Langkawi, so make sure to book in advance through their webpage, or via email, or through a phone call with your specific requirements. Every passenger will be ferry insured. Ferry Line Ventures has been running since 2005 after merging 4 companies. Their ferry services can deliver a fleet of boats with the incredible capacity range from 100 - 450 passengers, currently linking Langkawi to Kuala Kedah & Kuala Perlis. Besides, the service also has daily ferries between the island and these two spots. 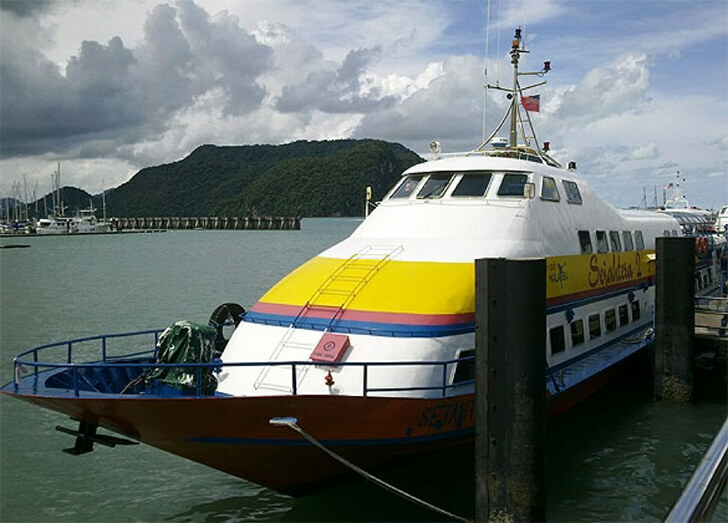 Another reliable ferry service you can opt for is Bahagia Express, which usually operates its high-speed boat ferries between Penang and Langkawi. They will leave from Weld Quay in the early morning to arrive at Kuah Jetty, Langkawi. It has 2 ferries crossing Pulau Payar Marine Park while the other one direct. The second one will take 2 hours and a half to reach the destination, and your return time will be in the afternoon. 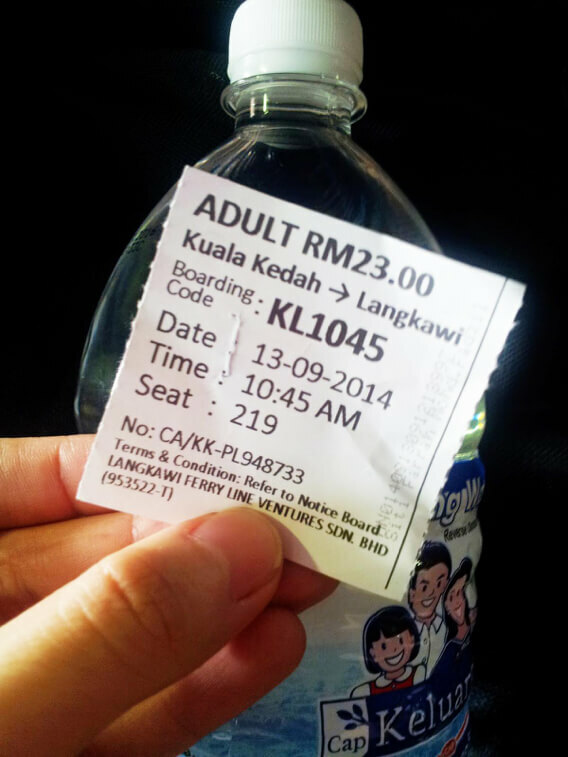 The adult fare for one way cost RM60 - try to book the tickets beforehand from its office in Penang. It stays close to the Clock Tower and right next to the Tourism Board office. 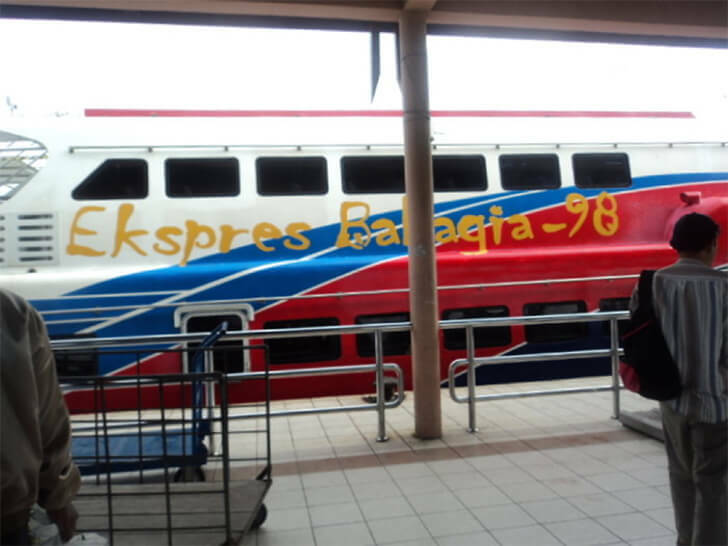 Aside from that, you’re able to book online via its website penang-online.com to get the tickets at the Ekspres Bahagia counter for 30 minutes before your departure. The ferry service here is ideal for trips between the tropical island Langkawi and Koh Lipe of Thailand. Besides, there are also 2 ferries operating daily even during the highest tourist season (October - May). It usually takes one hour to have the trip completed one way (30kms between Langkawi and Koh Lipe of Thailand). Find the terminal at the Telaga Harbor Park located in Pantai Kok. Your ferries usually start at 9:30 - 14:30 from Langkawi and then leave Koh Lipe at 10:30 - 16:30. And note that if you take the ferry to Langkawi, prepare to carry all of the necessary travel documents, covering your passport, visa, ferry booking voucher, embarkation card, etc. The fare for one way is RM128 while the one for return is RM248. Bear in mind that the check-in counter will work for 1 hour 30 minutes before departure, and then shuts down 30 minutes before departure too. So now you’ve already been recommended all the best ferry options, low prices, and easy ticket booking! Merely take a ferry to Langkawi at any time you want since it’s incredible! Going by ferry is supposed to bring you the best seascapes and exquisite nature scenes while it moves from shore to shore so effortlessly.